Insulin deficiency or its absence is the major characteristic of diabetes mellitus. This is common knowledge. The use of artificial insulin to combat diabetes and prevent its complications has become second nature to diabetics. But Mother Nature has been generous and caring that she affords diabetics a food to supplement their medicine. 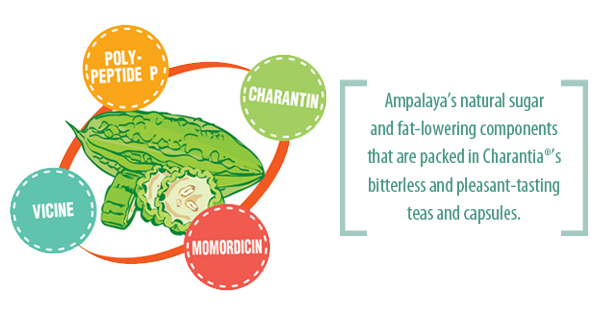 Introducing the Ampalaya, with scientific name Momordica charantia Linn, Nature’s gift to diabetics. The ubiquitous gnarled fruit, which is consumed in many parts of Asia as a kind of viand or an ingredient thereof, can be a potential nemesis to diabetes. This has been recognized and advocated by Herbcare Inc. since the time it introduced Charantia® Ampalaya Tea in 2000 on the strength of scientific studies on ampalaya’s medicinal potency.Knowing that the ampalaya is packed with insulin-like properties still comes as a pleasant and welcome realization even to diabetics, as well as pre-diabetics, who have been using Charantia® Ampalaya Tea to complement their medication. Charantia® Ampalaya Tea is a natural food supplement made of 100% ampalaya dried fruits and seeds. It optimizes the blood sugar-lowering potency of the bitter fruit, thanks to polypeptide- p, Momordicine and charantin. 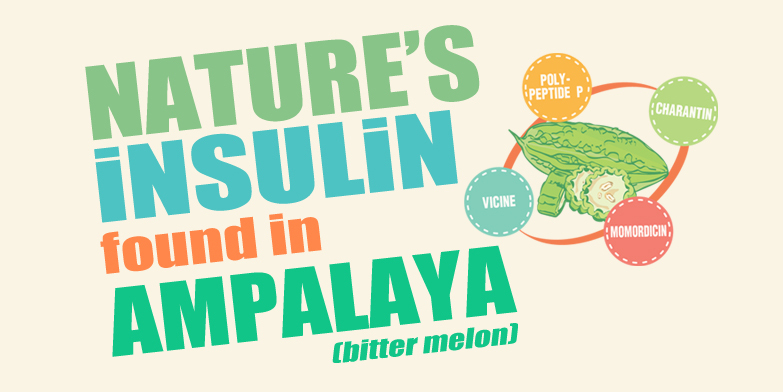 These are the natural-occurring hypoglycemic compounds richly contained in ampalaya fruits and seeds that are responsible for helping bring down blood sugar to normal levels.